One of the easiest ways to improve your home’s curb appeal is to change or improve your exterior paint color. Read on to see how this article can help you choose the perfect exterior paint color! Accentuate the Past: There is something to be said about exterior paint colors of the past. This is especially true if you are lucky enough to own a house of a certain, definable architectural style; whether it is Victorian, Cape Cod, or Craftsman, etc. If you have the help of a designer (and most of the professional or contractor paint shops offer such an expert) then ask him or her to find paint samples from the era in which your home was built. Whatever you decide will be your exterior paint colors, but try to consider what will work in your neighborhood. You may be limited further by Home Owners’ Association covenants, so be sure to look into those covenants as well. By and large, being a good neighbor is something you ought to factor in. Will the colors you are leaning towards fit in the overall feel of the neighborhood? Can you manage to be unique without being the eyesore? You also want the home to harmonize with the rest of the house; think not just of the neighborhood whole, but think of your house’s whole. What color is your roof? Is it slate, aluminum, copper, cedar shakes? Though you don’t need to match your paint to your shingles, the colors should fit together somehow. Another consideration is the landscaping and natural elements around the house. Are you in a wooded area? Is there a lake nearby? 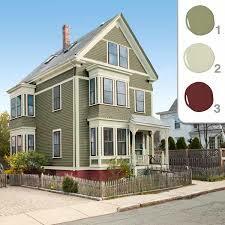 These can suggest color families to help you decide your exterior paint colors. If you have a favorite quilt on display, or perhaps a piece of fine china, that would make a great design motif for exterior paint colors. Don’t be afraid to pull the colors for your home from that piece and translate it onto your exterior. This adds a sense of harmony and integrity in design and can be as subtle or obvious as you’d like. All you’re after is inspiration, not demonstrating to the outside world the connection between a quilt and exterior paint. It’s a personal thing: if the colors on this quilt or that plate caught your eye, then they’d likely work well for you on your home. With the right complementary touches, white can be a fantastic exterior paint color option. Don’t think of it as a last resort or a default color; white is not a non-choice. White has its stately appeal. 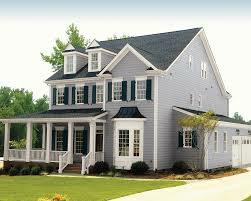 Bonus: if your home is a bit smaller than neighboring homes, white tends to make homes look larger than life. It will also last longer under the harsh solar glare since it repels harmful UV rays better than other colors. Darker colors are great for drawing the eye to architectural details you don’t want to be missed. If you have an archway or trim, or any particular feature you want highlighted, draw attention with darker colors. Darker colors make things appear a bit smaller than they are, and are a great choice for recessed panels. If you have features that protrude from the wall surface, highlight those with lighter colors as they will stand out more against the darker shade. 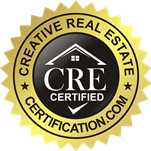 But be careful if you use darker colors as your field exterior paint color. In that case, be sure to use a higher sheen to ward off UV damage. Darker colors will fade quicker otherwise. Web security cameras are similarly divisive. Some people feel the devices’ cloud-connected features have the potential to spill their private moments all over the web. Meanwhile, countless others who’ve been victimized by burglars, stalkers, or abusive caretakers have found these to be lifesaving devices. 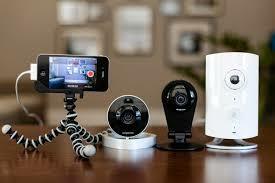 But you don’t need to record your every movement within your home to be safe. Here are a couple of ways to use web security cameras around your property to keep your home and family members safe and sound. Position the camera toward the door. Whether it’s a crook or your kid’s friends, if they’re coming in the house, they’re most likely entering through the front door. Positioning a camera so it catches the comings and goings is a good way to ensure everyone who is in your house belongs there. Get a camera with facial recognition. 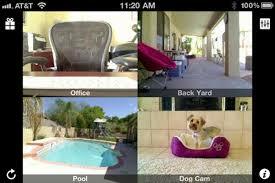 Simplicam, for example, makes for a good greeter because it has facial recognition features that will send an alert to the camera owner’s smartphone if a stranger enters the house. Part of a monthly or annual subscription feature, the facial recognition service also lets you save video clips in the cloud (which is key in case someone makes off with your camera). And you can set the camera to stop recording when it recognizes specific faces, like yours, because there’s no need for this setting to be active when your watchful eyes are already in the room. Aim the camera in blind spots, too. Blind spots, dark corners, and out-of-sight areas — every old house has them, and some new houses do too. Putting a webcam in those troublesome places will give you the ability to look in those creepy crannies without actually having to go there. Arlo by Netgear, can operate anywhere your Wi-Fi reaches. Powered by four lithium-ion camera batteries that last up to six months, the web connected camera has night vision, is designed for outdoor use including in rain and snow, and provides motion alerts. 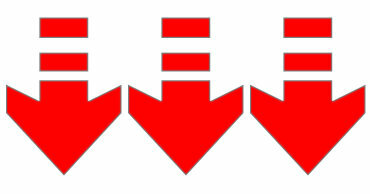 But even better is its one free gigabyte of online storage for saving clips or the past seven days of footage. Most other cameras charge a subscription fee for this kind of service. Don’t forget about the garage. One of the most vulnerable places in your home, garages store lots of valuable property (like your car, for starters) but they’re often overlooked when it comes to security. Whether it’s tripping the garage door’s emergency release lever with a coat hanger or roaming your neighborhood, channel surfing with garage door openers, burglars are masters at exploiting this space. Consider a Nest camera. The Nest camera is not only perfectly named for watching over a young one, but it’s well suited for the task with a 1080p high definition resolution and a great mounting system. Whether you travel for business or to satisfy wanderlust, leaving all your belongings behind can be equal parts exhilarating and terrifying. Eliminate the latter by using a web security camera as a house-sitter, keeping you connected to your home, no matter where you go. 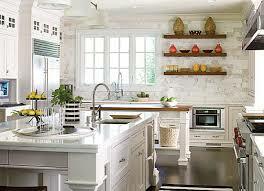 They say the kitchen is the most utilized room in any house! And yet, its usually the least “furnished.” Upon moving into your new home, you’ve got to make sure that you have the kitchen essentials. Read on to find out which items you must buy! Don’t let the name fool you. While you can make sauces in these pans, their use goes far beyond that. From simmering soups to making quinoa, a saucepan will quickly become one of your most-used items (if it isn’t already). From scrambling eggs to flipping pancakes to stirring sauces, spatulas are surprisingly flexible. Tip: Buy a silicone model for extra heat resistance. Not to be confused with a skillet (a sauté pan has straight sides), these pans are perfect for braising meat and cooking lots of leafy greens. And thanks to those higher sides, you’ll be less likely to spill sauce all over. One of the most versatile stovetop tools, you can cook nearly anything in a skillet. Nonstick varieties are inexpensive and make it easy to cook foods without needing to add much butter or oil to coat the pan. Cast-iron versions can go from the stove to the oven to make one-pan meals a snap, and while they are more of an initial investment, with proper care they can last a lifetime. with cooking spray. When the food is done, just ditch the aluminum foil…no washing necessary. Not everyone has handy mitts lying around, but they should. Use these to protect both you and your kitchen from the wrath of a hot oven. Tip: They can also serve as hot plates at dinner parties. Intended as a tool for roasting meat, this pan produces juicy, flavorful results and requires little kitchen prep. 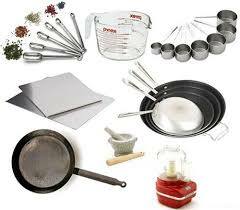 Its size also means it’s great for making large quantities of food such as meatloaves, lasagna, casseroles, and more. Dutch ovens are actually a great tool for making one-pot, slow-cooked meals like stews, pot roasts, and soups. A six-quart version should be large enough to make most meals. Cooling racks help ensure cookies and other baked goods cool quickly and evenly. A quality rack is also great for getting the perfect crisp on breaded meats by eliminating sogginess. 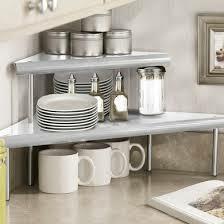 If opting for a stainless steel set, go gentle on the dishwasher detergent; too much can cause silverware to rust. Make delivery pizza feel gourmet by putting it on a plate instead of eating it out of the box. Plates also come in handy for trimming portion sizes. Bowls are a necessary ingredient for any kind of food. They also work as makeshift mixing bowls if sticking to small portions like salad dressings or scrambled eggs for one. It’s a more civilized way of drinking beverages. While mugs may conjure up visions of sipping coffee, they serve more purposes than that. When the dishwasher or sink is full, they make great stand-in glasses, and they’re perfect for concocting quick and easy mug cakes. 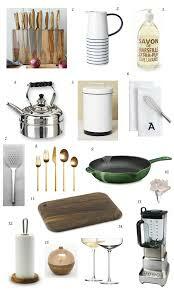 A Beginner Chef’s Guide: The Items You’ll Need to Buy For Your Kitchen in Order to Be Prepared to Bake! People bake for many, many reasons. Some like to save money on food, while others have the money to blow on it, but prefer to control what goes into their food. And some, just do it for the sake of doing it! There are some essential baking utensils you’ll need to accomplish your baking tasks. When it comes to making cakes, many recipes will call for dry ingredients to be mixed in a smaller bowl, to be transferred later into a second, larger bowl that contains the wet ingredients. 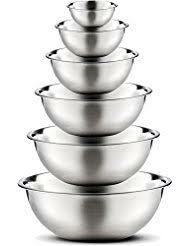 Mixing bowls are very versatile kitchen equipment that can be used for serving dishes, salads or left-overs. If you plan on making cut-out cookies – where you roll out the dough with a rolling pin and cut out the cookies – you’ll need a few cookie cutters. Likewise, if donuts are on your to-do list. 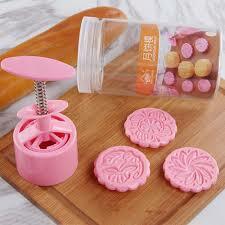 A cookie press is used with a simple dough recipe to make pressed or formed dainty cookies, more commonly enjoyed around the holidays. Presses are easy and fun to use, and results look amazing. Cutters and presses are economical to buy and very durable. Rosettes are a different kind of cookie, deep fried using a rosette or timbale iron. While cookie baking sheets are tin or stainless, you’ll need to decide between silicone, tin or glass for cake and bread pans. Muffin tins are available in tin or silicone. Tin pans come in either plain or with a nonstick coating which helps with food removal and clean-up, but these pans require more care. 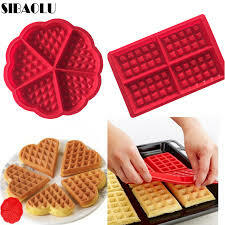 Silicone bakeware is popular with some and not so with others. If you do try out silicone pans, follow my tips for best results and remember that they are not nonstick and should be greased before using as you would do with a tin pan. In order to follow any baking recipe, measuring cups and spoons are essential. You’ll also find that having duplicate cups can be very handy. You can choose any type of measuring cups and spoons in plastic, stainless or glass, and you’ll find the see-through (glass) one, two and four-cup measuring cups very practical for baking and cooking. Standard measuring cup sets usually have a 1-cup, 1/2-cup, 1/3-cup and 1/4-cup measures – and you will use these different sizes depending on the recipe. 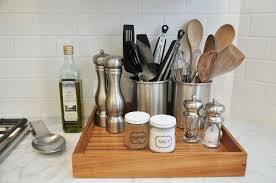 The term spatula refers to several types of kitchen utensils including rubber or silicone tools to blend or scrape the food from the bowl; metal, silicone or plastic egg turners or flippers. You need at least a couple of rubber or silicone spatulas to scrape the bowl, as well as a small metal spatula to serve desserts. A few wooden spoons for mixing and blending are also handy. An icing spatula, which is a long flat off-set knife, makes it easier to ice a cake. A couple of wire or silicone whisks are also very practical baking utensils. You can simply use the range timer if yours is so equipped, but having a small minute timer can be very practical. 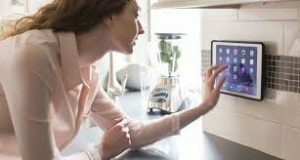 It allows you to take the timer outdoors with you or to another room, so you can hear it and know that you should check or remove your baking. Having more than one timer is handy when you are cooking and baking. There are various types of thermometers, but the most common one used in baking is a candy thermometer if you plan on making candies, chocolates or boiled frostings. While they sound similar and are often referred to as the same type of pastry tool, a blender is somewhat different than a cutter. A pastry blender is used during the mixing of the pastry dough. It also has lots of other applications, such as blending the flour, sugar, and butter for a fruit crisp or mashing boiled eggs for egg salad. A pastry blender is a basic essential tool for mixing pastry. While flour sifters have gone by the wayside for many who prefer to use prepared cake mixes, home bakers who want to improve the texture of their homemade specialty cakes, still use them. And there are other uses for a flour sifter, especially a one-cup size – to dust a cake with icing or confectioner’s sugar, or add a cinnamon-sugar mix to cakes or desserts. You can also use one to dust a pastry sheet with flour or to add flour to thicken gravy. Whether it’s an essential baking tool for you depends on how particular you are about your cake textures or alternate uses. Get A Fast Cash Offer Below Now!